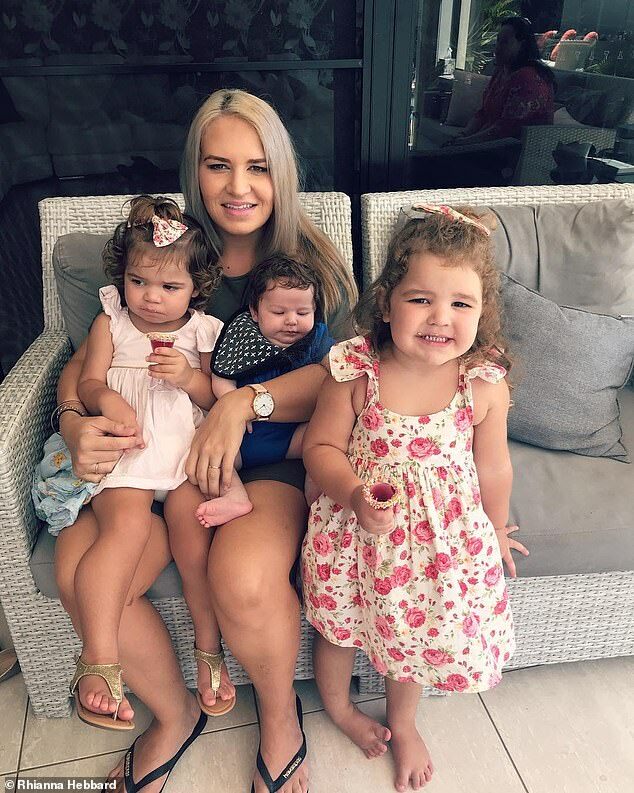 A mother who has had three children in three years has revealed how she’s transformed her home from chaotic to perfectly organised on a budget. 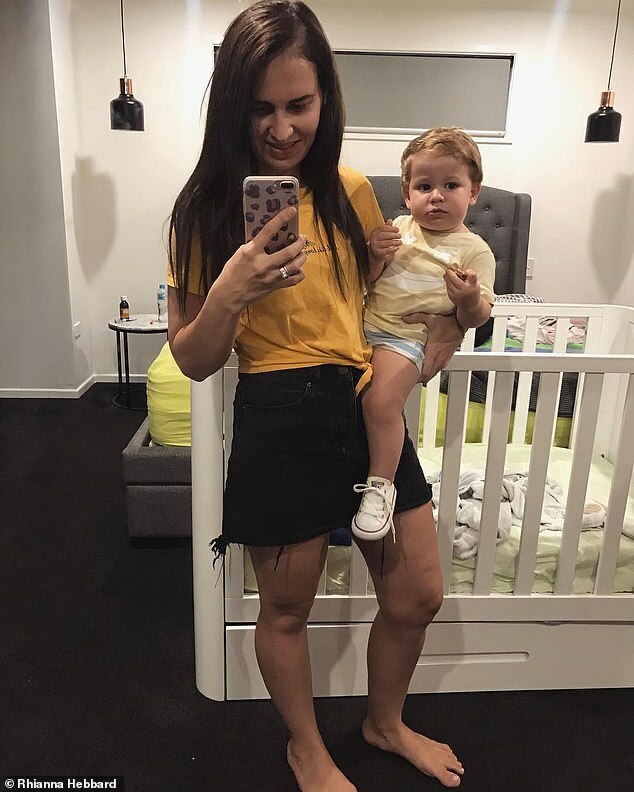 Rhianna Hebbard, 26, from Newport, Queensland, moved into her house with her husband in February, 2015, when they had just had their first baby. The house was built in 1986 so the pair have been renovating it slowly while transforming the interior to cater to their growing family. 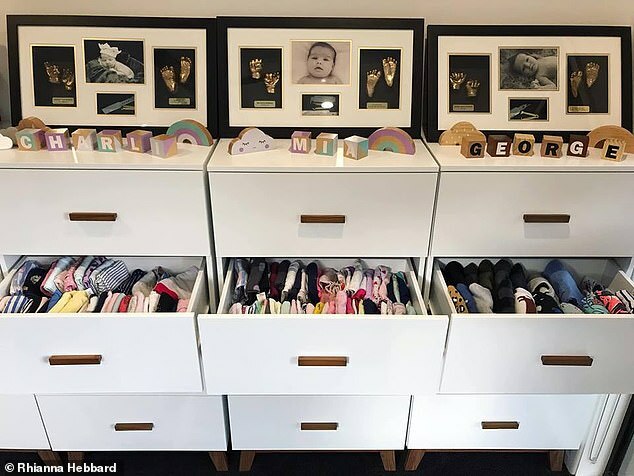 And while Mrs Hebbard’s organisation tricks are relatively simple, satisfying photos of the results have wowed hundreds of savvy parents on social media. ‘When it comes to organising, I am very time poor. I either do it when they’ve all gone to bed or I get them involved,’ Mrs Hebbard, a beauty therapist, told FEMAIL. Mrs Hebbard decided to really overhaul the home storage in 2018 after shed had given birth to her third child. 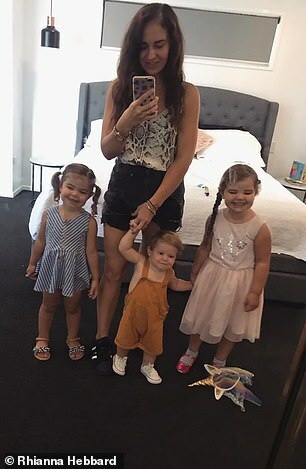 ‘A year ago when I had just had my third baby my house was chaos and it really started to get me down when I couldn’t keep on top of it all,’ she recalled. What are Mrs Hebbard’s top tips for organising the home on a budget? * Do your research when buying something. I look around a lot and look at all the options and search reviews online before I buy anything, even something small. * Sometimes cheapest is not always best. If you always just automatically buy the cheapest option available without doing research, you may end up spending a lot more in the long run constantly replacing cheap items that end up breaking. * Don’t give it to fad items that will be used once or items that you have lived your whole life without needing. Good marketing will make you feel like you need this new popular item – I can almost guarantee you don’t need it and you can in fact save your money. 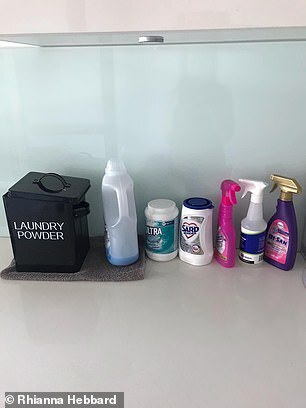 To help, she started minimising the items they had in the house and organised it in a way that was maintainable for herself and the rest of the family. To do this she went through room-by-room and used items from budget stores like Kmart and IKEA to declutter and sort. 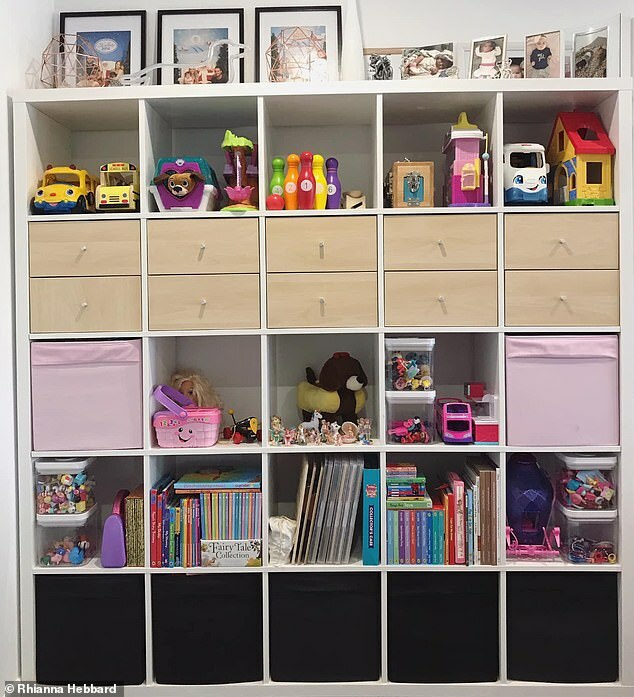 One of the standout spaces is the playroom organisation, where Mrs Hebbard spent $300 using cubes from IKEA to perfectly stack and organise the children’s toys, books and puzzles. What are the products Mrs Hebbard swears by? 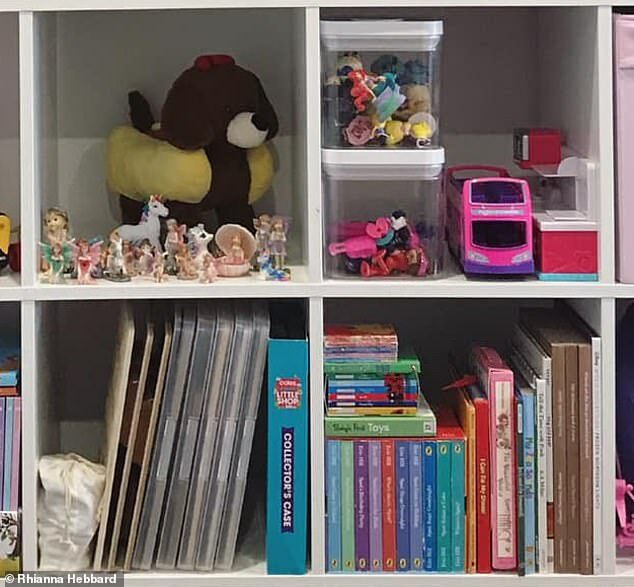 She also used $3 carry cases from Kmart to store the puzzles to ensure pieces didn’t fall out and added pink and black IKEA cubes to the shelves for storage. 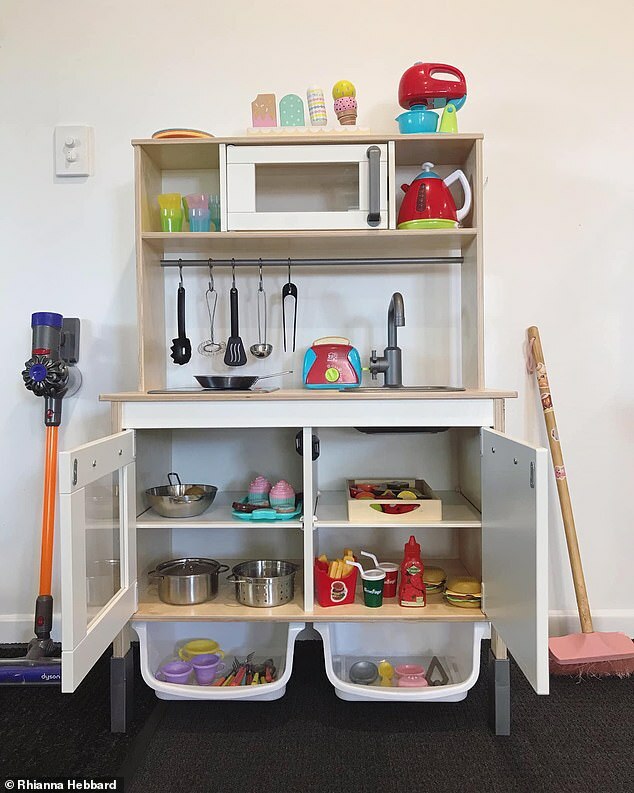 ‘I’ve taught the kids that they’re welcome to pull whichever toys out they like and they can make a mess, but before they move on to the next toys or pull something else out they need to pack up what they were first playing with (with my help, of course),’ Mrs Hebbard said. 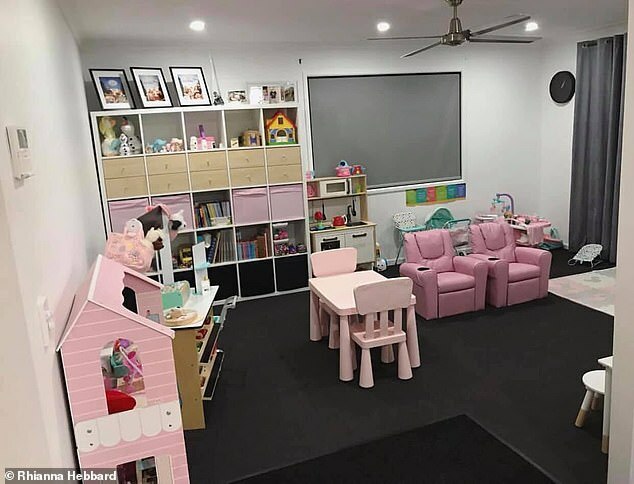 ‘When we have a toy room clear out I explain to the girls that some toys that they don’t play with anymore we will donate to other kids who may not have many toys as well. Mrs Hebbard said that while her home is more organised than ever she still has days where everything is a mess. ‘There’s no way for me to get everything done, but I’m slowly learning to let the kids make some mess while they play and let them have fun and not stress about it every now and then,’ she said. 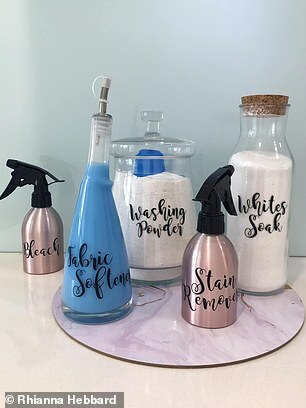 ‘It is so satisfying for me starting the day with the house clean for the kids, it definitely makes the start to the day a lot smoother for everyone.